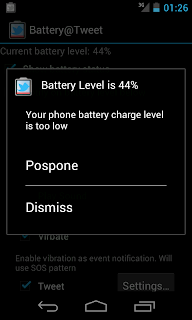 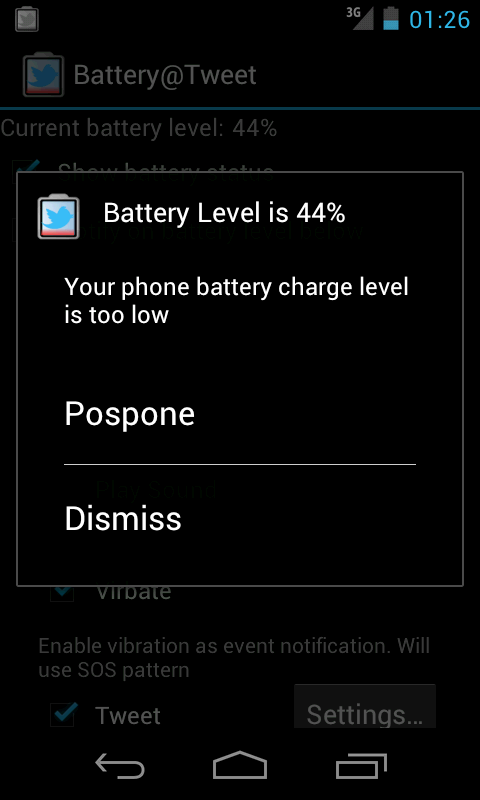 For time to time I noticed my Android phone is discharged and switched off. 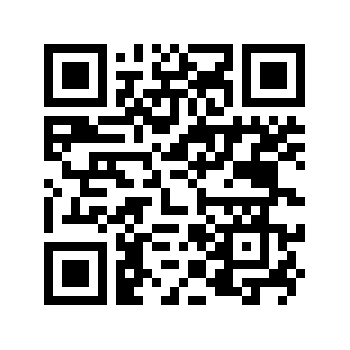 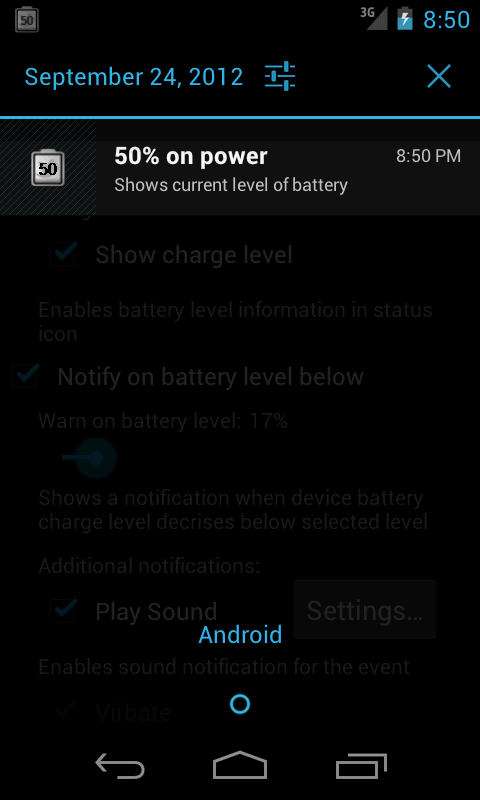 That was a real fun to find out that was the reason why alarm did not ring To solve this issue I decided to create a small Android application that makes an Android phone shout for charge. 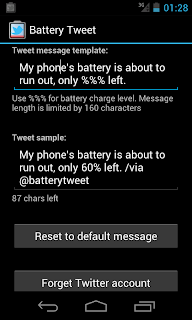 As an option you may pair the application with your Twitter account to make it post a twitter update in case battery is discharged to let your friends know you may disappear in offline for a while Some Android firmwares do not include battery charge level in the statusbar. 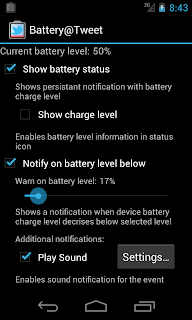 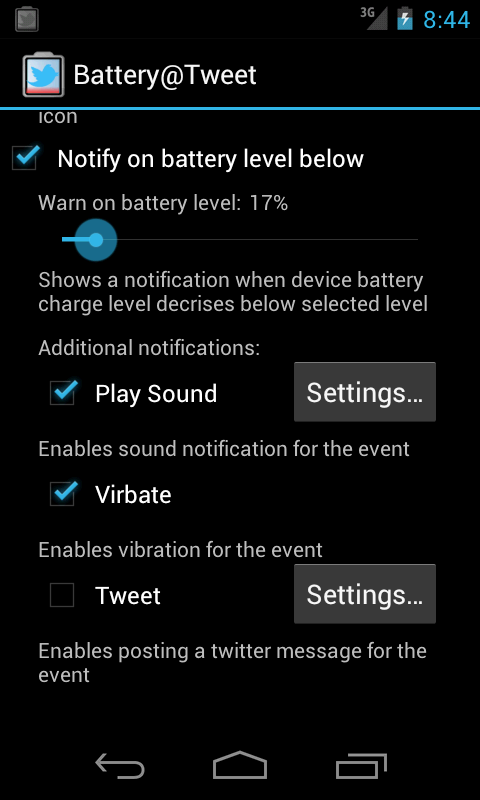 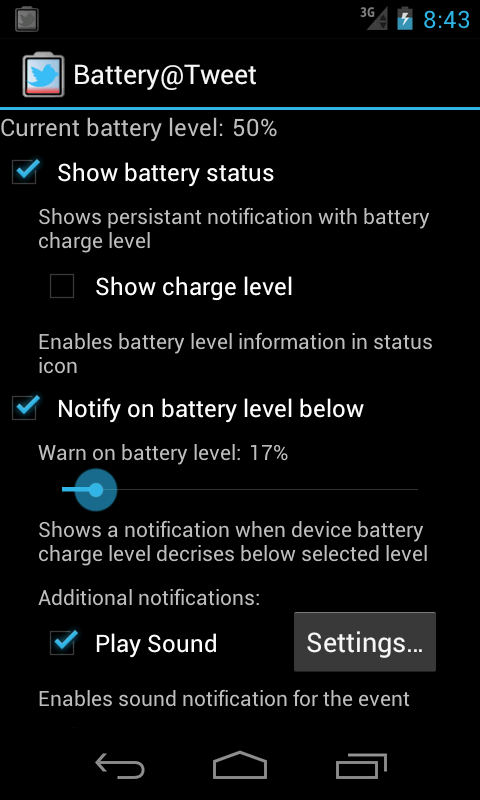 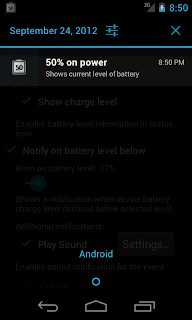 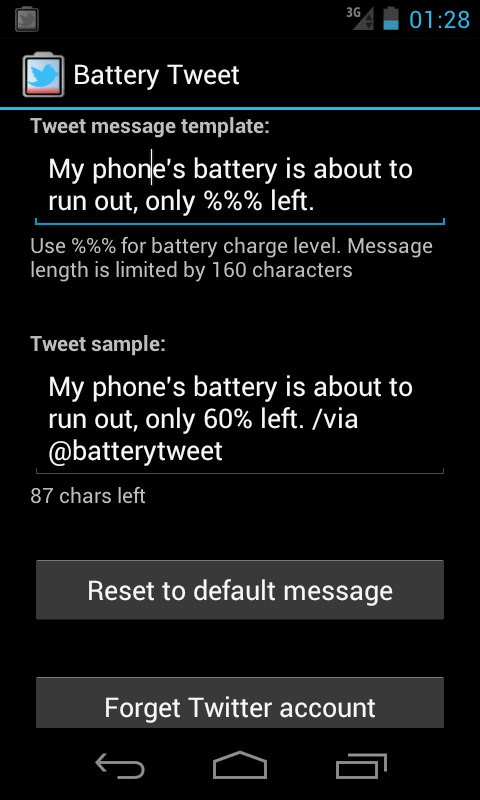 It's possible with the app to include battery charge level into notification status icon!